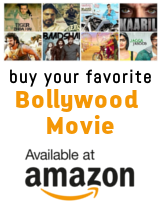 This is a compelling story of Suryaveer Singh (Amitabh Bachchan), a misfit in society who finally finds redemption in the smile of a little girl. His life and luck changes when he has to protect the child. In a strange city, he stands alone devoid company. Anamika (Baby Rucha Vaidya) is kidnapped. Suryaveer is felled by the kidnappers bullets and critically injured. Anamika's wealthy father Ravi (Vikram Chatwal) realizes that no money is enough to save his daughter. Her helpless mother Nikasha (Perizaad Zorabian) hopes that her prayers will somehow be answered. Only Suryaveer knows something that they don't ... That he alone possesses the expertise to bring the little girl back. With tenacity and wisdom, he pieces together random clues and penetrates to the very heart of the conspiracy. Alone in a foreign land, he can trust no one. He needs all his commando instincts to track them and stay alive. As the story unfolds, he is shattered at what he discovers. Neither men or guns can stop him. Bloodied but unbowed, his resolve remains unchanged.